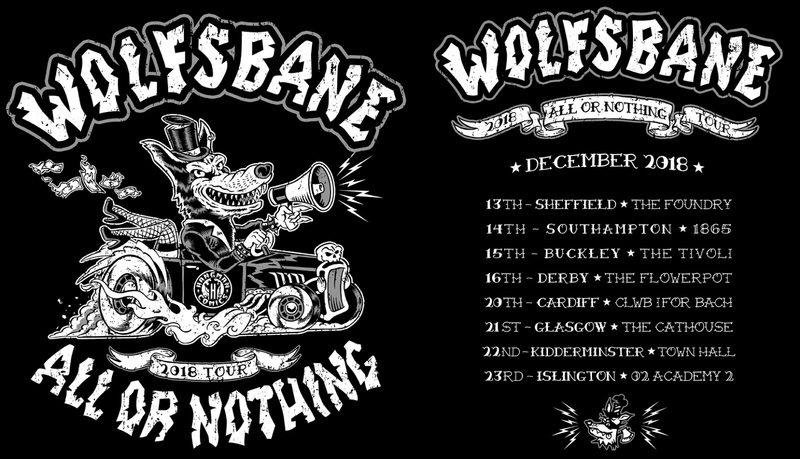 I'm very proud to present one of two collaborations between myself and the band, WOLFSBANE! Wolfsbane is one of my favorite bands of all time, I consider these remarkable musicians to be some of the few remaining rock n roll champions left standing in the industry today. 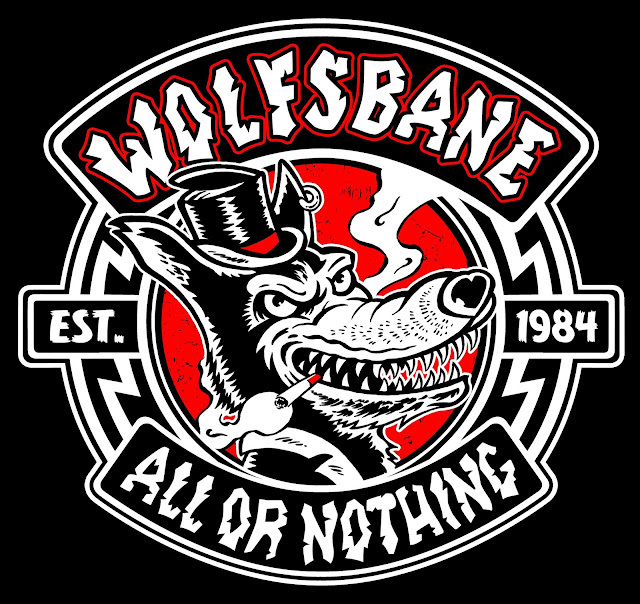 Wolfsbane sounds as fresh and original today as they did in the mid-1980's, and I've drawn countless designs and comic pages while inspired and energized by their music. So needless to say, when I was asked if I would take a crack at some apparel designs for them, it was truly a "pinch yourself" moment. 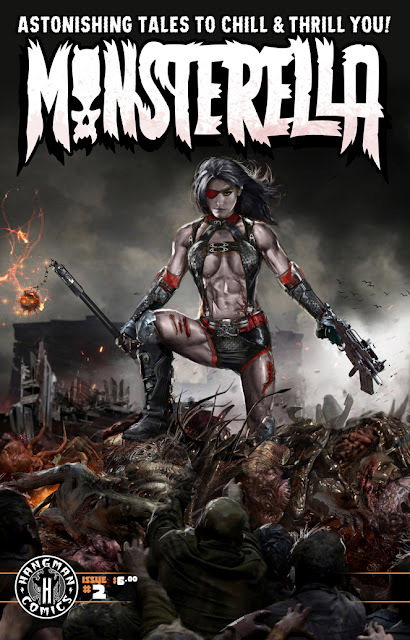 If you're unfamiliar with Monsterella, it's a Canadian action/adventure/horror/sci-fi anthology inspired by the classic “Vampirella” magazines of the 1970’s. If you're unfamiliar with the old Vampirella mags, you should check them out, some of the best stories and art by some of the best artists and writers, EVER. imprisoned and isolated from the rest of the universe. 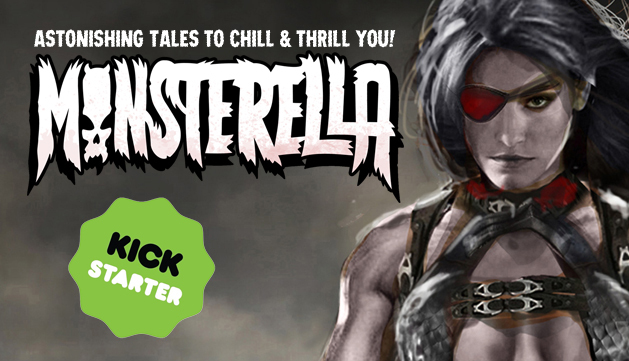 A kickstarter to raise the funds to get the book into print, and into the hands of horror/sci-fi comic lovers everywhere, starts tonight at 7pm (pst), 10pm (est)! There's lots of great rewards available. 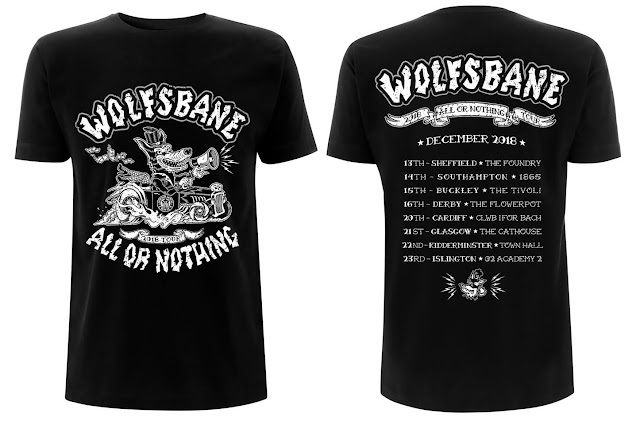 Low cost digital copies, print copies, deluxe editions, t-shirts, art prints, original art commissions, and even opportunities to be in the book yourself! 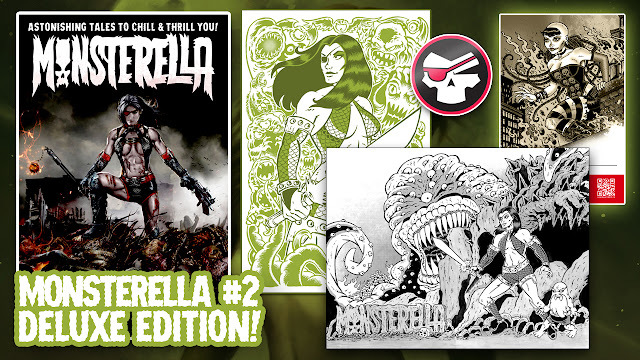 The first 13 (physical reward) backers will also receive a FREE 4x6 original drawing! Thanks for reading, and we're hoping we might share this spooktacular sequel with you! 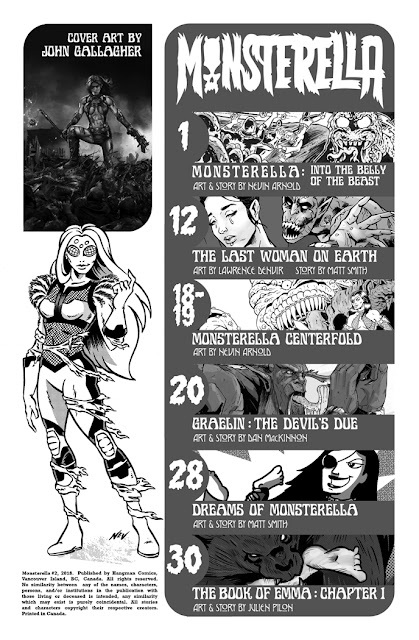 MONSTERELLA #2, an action/adventure/horror/sci-fi anthology inspired by the classic “Vampirella” and “2000 AD” magazines of the 1970’s by Canadian publisher Hangman Comics. 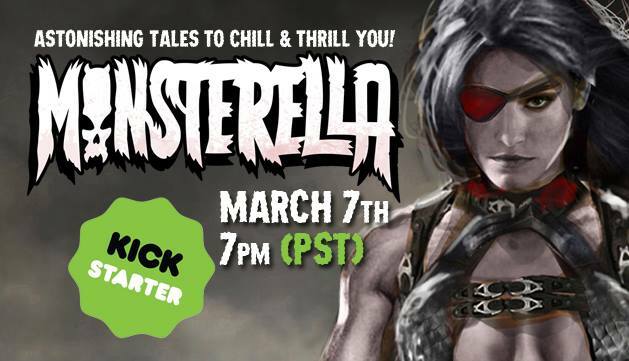 A Monsterellla kickstarter will launch March 7th, 2018 at 7pm (Pacific Time) to raise the funds necessary to get the book into print. The first 13 backers wil receive a free 4x6 original drawing! Many amazing rewards will be available, including digital and print copies, deluxe versions of the book, signed and numbered screen printed art prints, t-shirts, original art, and even unique opportunities for backers to be immortalized in the book itself !